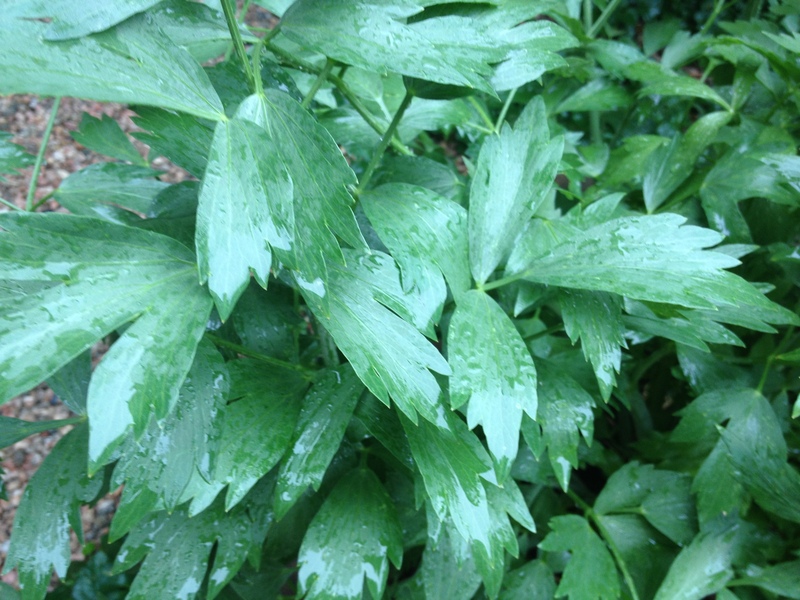 Levisticum officinale is an unfussy plant that pops up each spring without fail. It seems to tolerate quite a bit of shade, lack of water as well as general neglect. Although ours doesn’t grow to the two metres that some people’s plants seem to it does provide pungent leaves for at least ten months of the year. 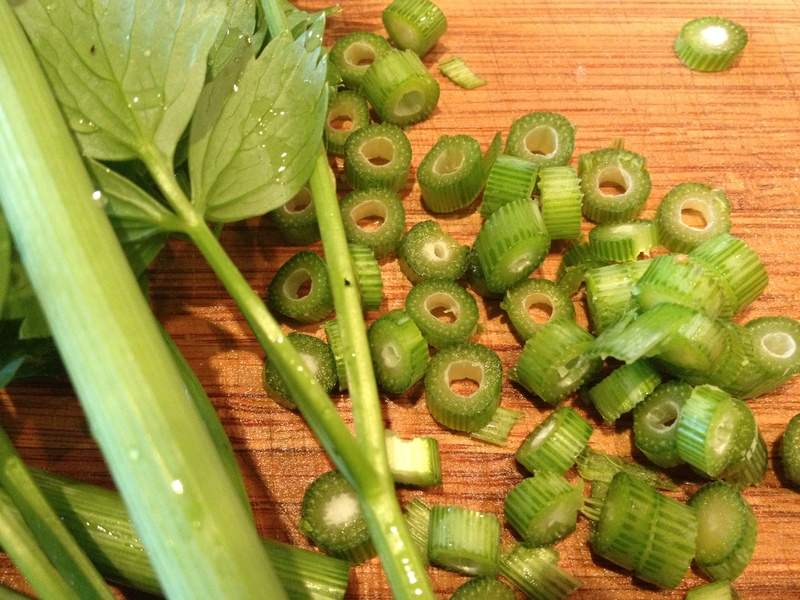 In keeping with our medium-term goal of providing almost all our food from the garden I decided that the lovage needs to be eaten as a main component of a meal and not just as an occasional leaf in a salad or a sprig in a soup. As usual Google was my first port of call when I decided I needed to make a soup using the fresh young lovage and the slowly ageing lettuce in our garden. Number five on the page was Hugh Fearnley-Whittingstall’s Lovage Recipes courtesy The Guardian website. I clicked through to find a recipe for a lovage and lettuce soup. Hugh says ‘…one of the most intriguing and versatile of herbs, yet when was the last time you saw it in a shop or even growing in someone’s garden? Time to redress the balance …’ I find myself agreeing with Hugh once again – at least as far as lovage being intriguing – although just how versatile it is remains to be seen in the upcoming weeks. Here’s a start. 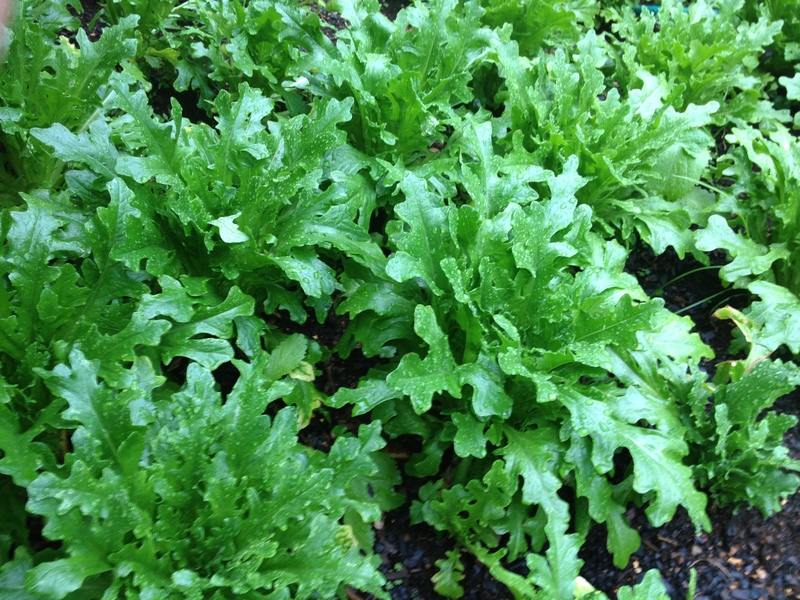 I didn’t follow Hugh’s recipe but went my own way and made a soup with ingredients I had on hand – a smoked pork fillet, sour cream and three of these lettuces. With gay abandon – tempered with just a little bit of doubt – I used way more lovage than Hugh suggested. I’m pleased I did. The lovage flavour wasn’t overwhelming at all and I and the other lucky recipients of the meal all found it delicious. Very slowly fry two large finely chopped onions in a large heavy pot in olive oil until very soft. Add four crushed garlic cloves, six very finely chopped young lovage stalks with their accompanying leaves and a diced smoked pork fillet. Add a few very generous grindings of black pepper. Fry all of this very slowly on a low heat for a long time until very tender. (It took me so long that I unfortunately had to miss a school PTA meeting) I kept the lid on for much of the time. In the meantime roughly chop three lettuces and cook them briefly in a couple of litres of vegetable stock. Pick out about half the pork fillet but don’t worry if some of the onion and lovage stick to it. Combine the lettuce and lovage mixtures, blend until nice and smooth and return to the pot. Bring to the boil, add the reserved pork fillet and about a cup of sour cream and heat through. Serve the glorious green soup as a light but entirely satisfying supper. I’ll be making this soup again, without the pork I think, but will add a big bunch of tarragon as per Kevin Lee Jacobs. And then I’m keen to try lovage tempura, lovage fritters and candied lovage.